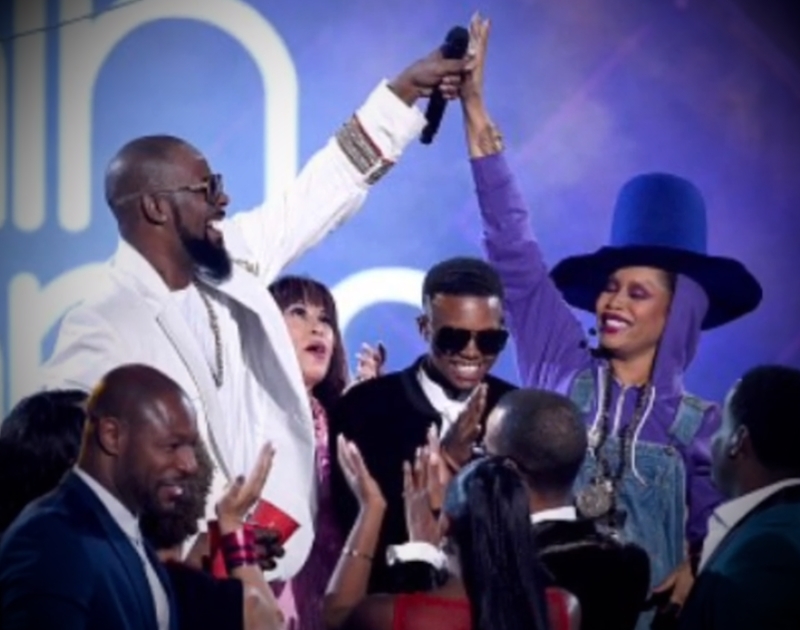 White Noise: Erykah Badu Declined An Invite To Appear In The New R. Kelly Doc. Erykah Badu Opts Against Speaking Out On R. Kelly, Rigor Mortis Frontman Bruce Corbitt Enters Hospice Care, Four More Fests Announce Their Bills and More. And slowly but surely, his career is finally beginning to be muted. In response to the series, a pair of Dallas radio stations have permanently removed Kelly’s material from their playlists. Furthermore, Kelly’s record label, RCA Records/Sony Music, has vowed to stop producing or releasing any more music from the Pied Piper of R&B until criminal investigations in Georgia and Chicago are resolved. But not everybody has been so quick to hop on the Kelly persecution train. In a new interview with VICE, Surviving director dream hampton said a number of celebrities — including Dallas’ own Erykah Badu — refused to appear in the series when they were approached. Could this be a sign that Badu’s concept of unconditional love and compassion is more highly evolved than that of us mere mortals? Or perhaps another example that none of our celebrity idols, no matter how woke, are without flaws? Judging from her old tweets — like how it’s the responsibility of young school girls to wear long enough skirts so as not to “automatically” arouse older male teachers – well, we’re inclined to go with the latter for now. Our heroes, it turns out, are totally fallible and way more human than we give them credit for. In the end, every single one of them winds up displaying signs of mortality, be it through a moral fault or simply a terminal illness. And just like that, whether we like to admit it, life keeps pressing on. Currently, life in the Dallas music scene finds us still smack dab in the middle of festival announcement season. Since last week’s column — which featured no fewer than four announces — another handful of events have made announces of their own. First, Homegrown dropped the lineup for its tenth annual event — a greatest hits bill, of sorts — that brings back favorite headliners from years’ past – like Tripping Daisy, Toadies, Seryn and The Suffers. Likewise, the Dallas Symphony Orchestra made some announcements regarding the fifth SOLUNA festival. It’ll mark the world premiere of festival co-commission of Caravan: A Revolution on the Road with Terence Blanchard, Rennie Harris and Andrew Scott, as well as DSO Composer-in-Residence Julia Wolfe’s Pulitzer Prize-winning Anthracite Fields. Passes go on sale here on Friday, January 18. On May 26, meanwhile, Kirk Franklin brings his second annual Exodus Music & Arts Festival to The Pavilion at Toyota Music Factory. Other than the Grammy-winning gospel performer, the lineup also includes Fred Hammond, The Clark Sisters, Tasha Cobbs Leonard, Travis Greene, Vashawn Mitchell and Kelontae Gavin. Moving on, NBC reported on a guitar that was stolen from a “74-year-old musician, triple stroke survivor.” Several graphs into the story we finally learn that it’s not just any musician, but the legend Bobby Patterson. And that the swiped guitar was actually one named Ruby that he’s had for over 35 years and played in countries all over the world. Goodness! On that note, it’s time to proceed to the music video portion of this week’s local music news and notes column. First up, there is recent Song of the Day featurees Sunshine Village, which shared a new video for “Forest Green” in the wake of Evan Hisey’s untimely passing. The song features the former Polyphonic Spree member taking on the lead vocal duties. Meanwhile, Black Taffy shares one from his upcoming debut LP, Elder Mantis, which will be released February 15 via Leaving Records. Then there’s Dallas darkwave duo LLORA, which released some new visuals for its 2017 single “Tired” that are as artsy and “weird” as you’d expect — although also particularly crisp, given that the song sounds like it was recorded straight to an old VHS player with a broken tracking button (in a good way, of course). Last up, we posthumously premiere the “Amano Tomato” clip from Denton’s now-defunct Bad James, which tells us they were going for a “That ‘70s Show meets Hunter S. Thompson” vibe here. • CT Music Honors nominee Marc Rebillet created some of his patented, looped music on the fly during his recent, must-watch appearance on Sway in the Morning. • On Sunday, February 17, Poly Spree frontman Tim DeLaughter will be doing a special funraising concert where he’ll be backed by the Woodrow Wilson High School marching band. • It appears that turn-of-the-millennium Dallas faves Chomsky will be reuniting on or around July 13 for a show at Dada to celebrate the 20th anniversary of debut album A Few Possible Selections for the Soundtrack of Your Life. Previous ArticleBobby Sessions Keeps On Manifesting. Next ArticleDeep Ellum’s Magical Dessert Bar Isn’t So Magical After All.